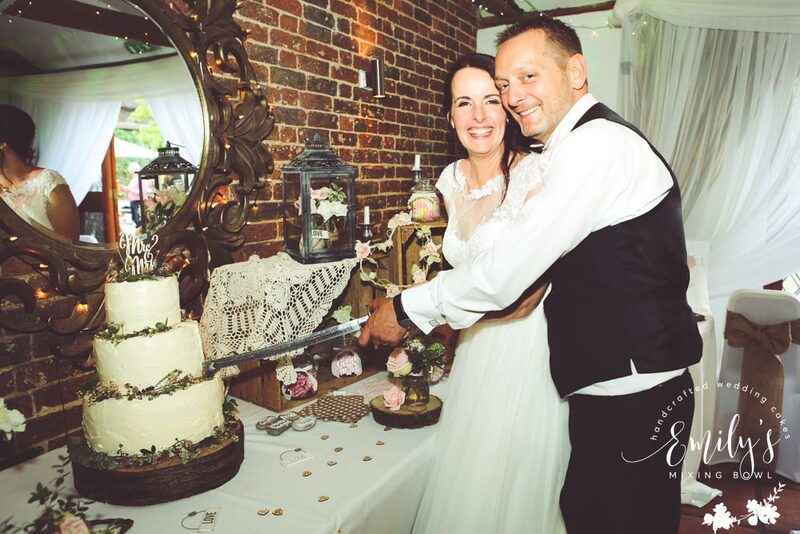 Kirstie & Stuart got married at Crockstead Farm Hotel, East Sussex. 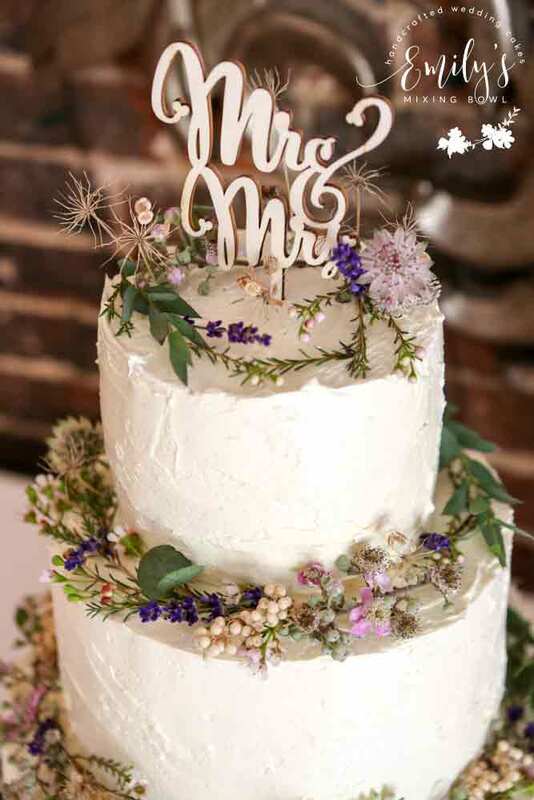 Their theme was a rustic, pretty, vintage style with lots of homemade items and soft colours. 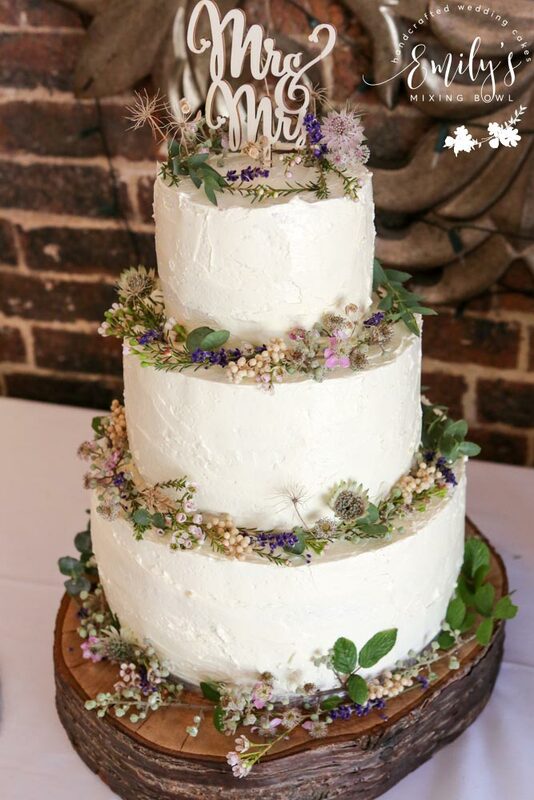 The cake was covered in buttercream and finished with fresh florals and foliage which myself and Jo Frost Flowers decorated together.